for both commercial and residential services. Serving the entire Phoenix area. 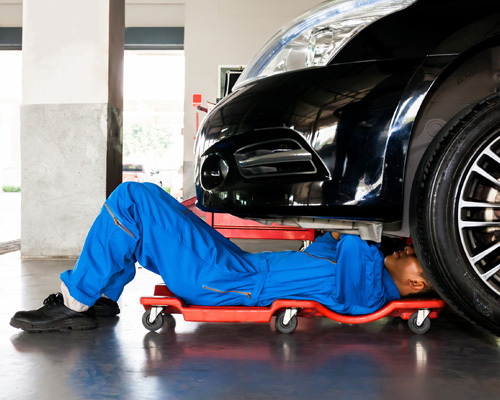 We have served the Phoenix area for years! We have served the Phoenix area for years with reliable and professional epoxy flooring installation. Our licensed, bonded contractors have years of experience creating custom epoxy solutions to fit your unique needs. From residential epoxy flooring and garage floor epoxy in Phoenix to industrial and commercial applications, we can do it all. Stained polished concrete with your company’s logo? A metallic epoxy garage floor that makes your workshop the envy of your friends? A basement remodeled with a decorative epoxy basement floor made to last? The options are truly limitless! We create custom epoxy concrete floor systems with a commitment to excellence. Along with our popular garage floor epoxy service, we also install epoxy flooring in basements, laundry rooms, bathrooms, and a variety of commercial settings. No matter what you have in mind, we look forward to working together to transform your space and deliver a beautiful and durable epoxy floor that handles anything you throw at it. Metallic epoxy flooring is a popular solution that delivers a breathtaking and unique floor. With the addition of metallic mica chips, your liquid-applied flooring can look like water, lava, lightning, or poured liquid metal. 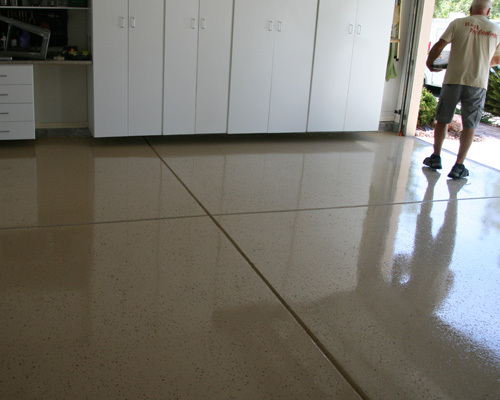 A metallic epoxy garage floor is the perfect choice if you want something no one else has. Along with looking great, metallic epoxy flooring offers the same benefits as other epoxy: chemical resistance, water resistance, seamless installation, and durability. Epoxy flake flooring is the most popular type of decorative epoxy that can be used in laundry rooms, garages, and commercial applications. We add chips of color for a multi-colored effect that complements your design. After your base epoxy flooring coating is applied, your chosen color flakes are broadcasted over the surface and finished with a topcoat. 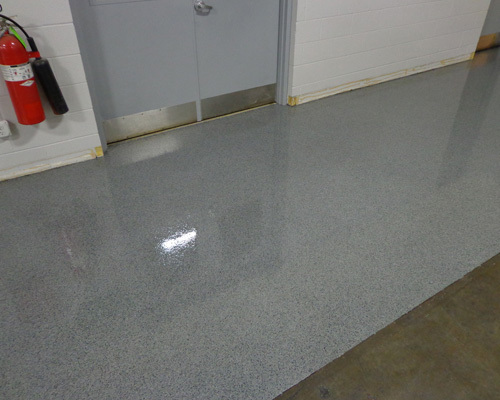 Epoxy flake flooring comes in a huge variety of coverage and color options. It can even mimic the look of granite or terrazzo flooring. Do you have a concrete floor that has seen better days? 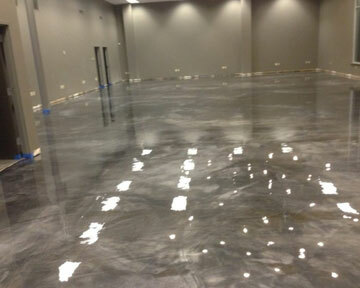 Concrete polishing transforms stained, dusty, ugly concrete into a beautiful flooring solution. 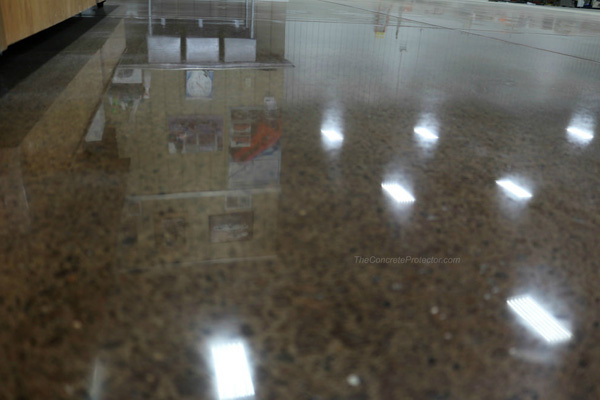 We use specialized diamond polishing equipment to polish your concrete to a mirror finish. The final result is a flawless and shiny surface that’s easy to clean and maintain. Concrete polishing can be combined with stains, engraving, and stenciling. We can do anything from creating a custom pattern to adding your logo to your floor. 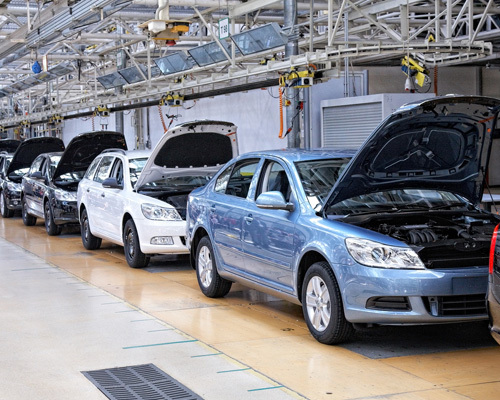 A commercial epoxy floor coating can handle even the most demanding conditions. We install epoxy flooring in Phoenix for a wide range of commercial facilities, including kitchens, offices, assisted living facilities, retail stores, and firehouses. You can trust that your epoxy floor will hold up well against chemical spills, gasoline, oil, water, and traffic. We offer endless ways to customize your commercial flooring, including the ability to combine colors to designate traffic and safety areas. Custom Solutions. No matter what you have in mind, we can make it happen. We love creating custom metallic and multi-color epoxy flooring for homeowners and facility owners. Still have more questions about how epoxy flooring can fit your home or facility? Here are some of the most common questions we hear. If we haven’t answered your question or you want to schedule a consultation, give us a call so we can help. Q: How durable are epoxy floors? A: Epoxy flooring adds a unique aesthetic look to a workspace or garage with an easy to maintain surface. Epoxy flooring comes in different grades with various levels of durability. The thinnest form of epoxy is solvent-based coatings, which are 30 to 70% solid. The most durable type of epoxy flooring is 100% solid epoxy, which offers the best protection against chemicals, stains, and damage. When professionally installed, epoxy flooring is a durable solution that can last up to a decade and protect against water, heat, fire, oil, gasoline, and more. When epoxy flooring does wear out, we can apply a new epoxy floor coating to make your floor as good as new again! Q: How long will a new epoxy flooring system last? A: How long your epoxy floor will last depends on many factors: the grade of epoxy, where it’s installed, how it’s used, and how well it’s installed. As a general rule, epoxy flooring in Phoenix, AZ lasts for up to 10 years. Commercial epoxy can last 5 to 10 years with proper maintenance. The biggest factor affecting the life of your epoxy floor is the quality of the installation. Don’t let just anyone install your epoxy flooring. Our bonded, licensed epoxy floor contractors have the experience and tools necessary for seamless and reliable installation. DIY epoxy kits simply can’t compare to professional results. 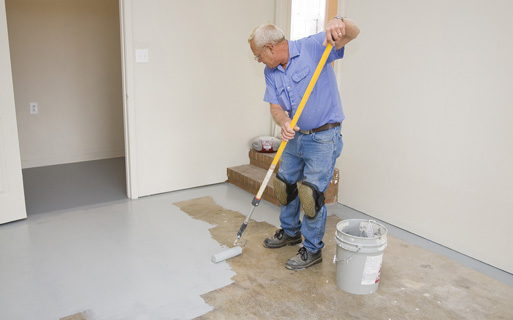 Q: What are the common uses for epoxy flooring in Phoenix? A: Many people assume that epoxy flooring is only about creating a polished, high-gloss look. The truth is epoxy can also be used to add durability, slip resistance, and an easy-to-clean surface. Epoxy flooring is the perfect marriage of aesthetics, safety, and durability. It can be used in home garages, basements, and living rooms, industrial facilities, and commercial properties. Most people are familiar with garage floor epoxy in Phoenix, which can add value to your home and create a beautiful surface that resists spills and damage. 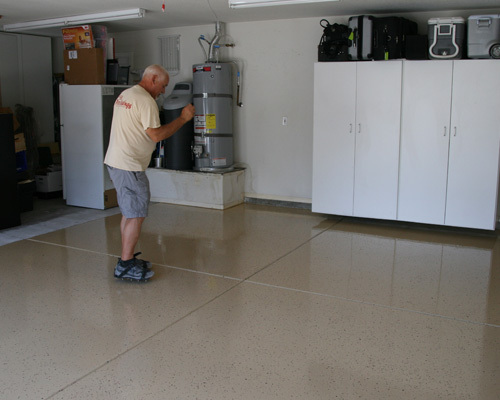 A garage epoxy floor coating can transform your dusty garage into a beautiful and resistant workshop that won’t suffer stains from gas and oil spills. In the basement, decorative metallic epoxy floor coating or flake epoxy can be used to create a unique, eye-catching flooring solution that resists water. There are also many commercial and industrial uses for epoxy flooring. Commercial epoxy flooring is attractive yet withstands foot traffic and industrial-grade disinfectants for a hygienic surface. Commercial epoxy can last for a decade and may incorporate different colors to designate paths and anti-slip treatments.